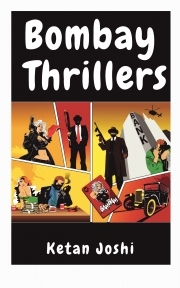 Gangsters, Spies, Murderers, Cheaters...and just a guy who is fanatical about his cup of tea! From local trains to corporate offices, from gangster lairs to apartment blocks, from police stations to fortune tellers, from foreign spies to backpackers - this book will take you through all the thrills and spills that make up Mumbai. If you like your tales to be deliciously dark, and your stories to have a twist in the tail - then this collection of sparkling short stories is just what you are looking for. This is modern Indian short fiction at its best! He is the author of Dipy Singh - Private Detective, and the 'Three Men on Motorcycles' series, a #1 bestseller on Amazon India. He lives and writes in (obviously) Bombay.